There is nothing like a fashion week. 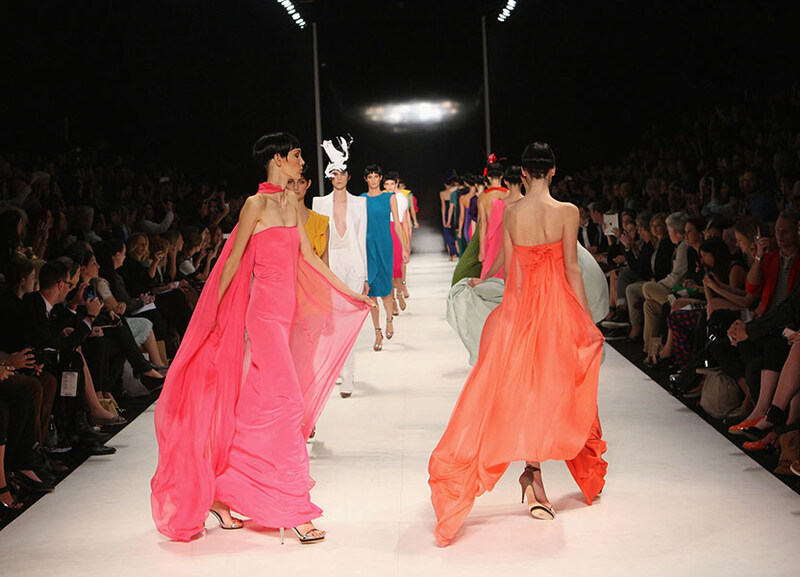 This week, Mercedes Australian Fashion Week turns 20. Skating right over that large number, I will admit to being lucky enough to attend the very first one. In 1996, the Hordern Pavilion removed it’s show bags and hags, and pulled out some glamour, and a big handful of hype, at the behest of Simon Lock – who still runs the show today. 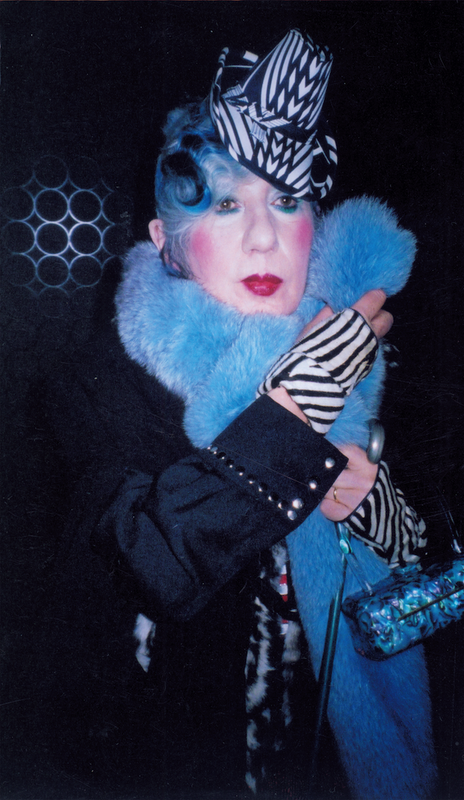 I was a teeny tiny fashion assistant and fashion design student at the time – read: completely insignificant. In a world where ego is the only thing that will get you anywhere, being insignificant was a great place to be: I was able to sit back and enjoy the ride. I remember the first day clear as a Swarovski crystal. There were TAFE fashion students, decked out in all their overly-creative glory and invited to fill empty spaces. There were tentative fashion editors in the uniform black, unsure as to whether being seen at this new event would sully their reputation. There were photographer hacks, and inexperienced models who, rumour was, were not being paid for the glory of bumping awkwardly down a catwalk which no one could yet claim was going to be a success. There were the token celebrities: model’s Sarah O’Hare, Anneliese Seubert and Emma Balfour, acting as the draw card for media. There was “don’t you know who I am?” hanging over the doorway to the catwalk show like a booby trap for the poor unsuspecting young things checking media passes. There was a very late first show, delayed by fashion party boy Wayne Cooper and, word was in the audience, some pretty sloshed models. My seat for this show was somewhere very up the back. I craned my head down toward the front echelons to see whether or not they really did wear sunglasses in this almost pitch black room. The photographer’s in their animal pit at the end of the catwalk were grunting with the effort of jostling for position. Fashion types, too famous for their own good, were tutting at “the cheek of this…this nobody designer” holding them up. Lock was perched in his seat at the top, tall and willowy, his distinctive bald top gleaming under the dim lights, waiting for his baby to begin her life. Then, finally, the show began. The Rolling Stones “Satisfaction” exploded throughout the room, ramming the space with an electric, palpable excitement and making the whole Hordern Pavilion vibrate. White light blinded me, booming in and out to the music, while my insides involuntarily banged away to the beat. Somehow I saw a figure emerge out of the glare, hipbones jolting side to side in that distinctive model stride, then another – they rained down that catwalk, bang, strut, thump. The word BRAVE shouted at us from the glowing, infinitely-sized wall at the end – and that’s what we felt. There was a roar as Emma strode on down. Initially stunned fashion editors were now scribbling on fast forward. But I can’t tell you what the models were wearing – it didn’t seem to be relevant. The smell of the smoke machine rose cold in my nostrils and the music cranked up a notch, sending those famous fashion types into apoplexy about how “amaaaahzing this whatshisname designer” was. My whole-body adrenalin was on, and would remain so until I was spat out the other end of the two weeks of fashion industry chaos and over-excitement. but had to produce some work: Articles on the shows, interviews with designers, a backstage hair and makeup expose, my own notebook full of scribbled garments on what trends we would show on the fashion pages in the months to come. With the “hard work” came invites to parties where I chatted with Elle MacPherson’s belly button, giggled in amazement with brand new designer Akira Isogawa at being picked out by the very famous, and awesomely quirky Anna Piaggi from Italian Vogue. I made it down to the front row seats (yes, you do need those sunglasses), and to the private, exquisite showings of Collette Dinnigan. I talked with Linda Evangelista (not mentioning that she didn’t fit into her Alex Perry wedding dress!) 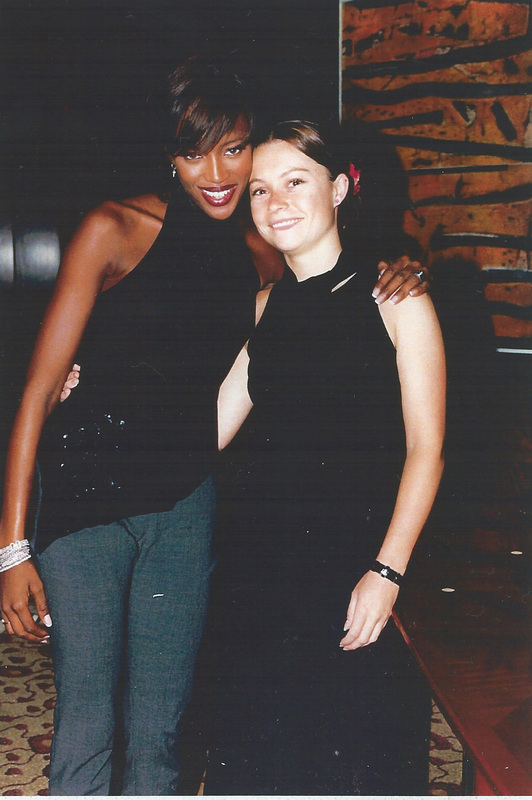 and later spent a week with Naomi Campbell (not mentioning the court case with the mobile phone throwing… in case she threw it at me). I rode the wave of To Show Anorexic Models or Not To Show, and sat alongside of the unlikely combination of old man Kerry Packer and the front row of a fashion catwalk show. I never knew what to wear, always had on shoes with a too-thick heel (being unable to afford even one-tenth of a Manolo), and caught the bus home with a manicure in a different shade of Chanel polish every night. I ate one packet of chips all day long but had a glass over-flowing with Moet from dawn to dusk. And went on to do it all again overseas, covering the London and New York versions. All the way I felt like one lucky young girl to be able to experience incredible creative inspiration, celebrity, and feel the excitement of the quirky world of fashion.